Associate medical officer of health Dr. Vinita Dubey says the case involves an unvaccinated infant who recently returned to Canada with its family from a trip abroad. The parents sought medical care for the baby, who's under a year old, at two doctor's offices and a Toronto hospital's emergency department, potentially exposing staff and patients in those locations to the disease. Scarborough Health Network, Birchmount Site, Emergency Department on February 28 between 5:12 p.m. and 11:30 p.m. In a communique, Toronto Public Health warned physicians to be alert for patients presenting with key symptoms of measles, including high fever, cough, red eyes and a rash. Dubey says anyone who may have been exposed should watch for signs and symptoms of measles. If symptoms develop, the individual should call before going to a health clinic to prevent possible exposure to others. Symptoms of the infection can appear seven to 21 days after exposure. Dubey said the infection was likely picked up at the family's trip destination, or en route, but said the exposed infant wasn't contagious during the trip. Dubey says risk to the public is low because the child wasn't in any public settings when it was infectious. "The biggest risk is for individuals who traveling right now," she told CBC Toronto. "Our main message is when you travel, you should make sure your immunizations are up to date." Because the MMR (measles, mumps and rubella) vaccine is only provided when a baby turns one year old, Dubey says families travelling with an infant between six and 12 months old should consider getting the vaccination early. On average, Dubey says there are about five cases of measles per year in Toronto — the last confirmed case was Dec. 17, 2018. 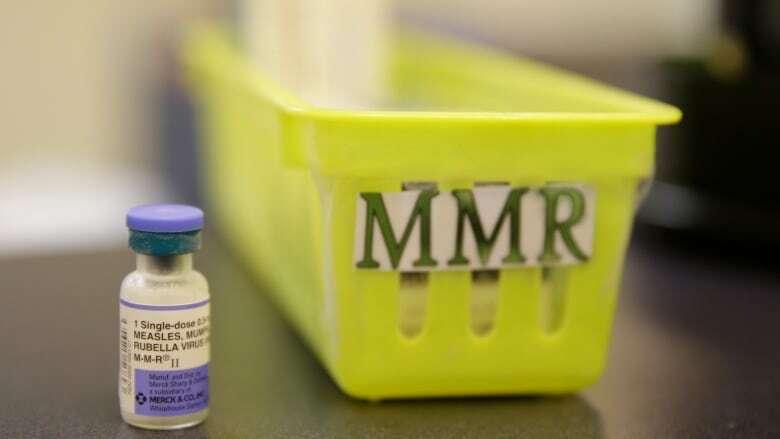 Meanwhile, British Columbia is in the middle of a measles outbreak in Vancouver, and doctors are urging people to get two doses of the MMR vaccine.